Our partnership with Shane’s Inspiration, a non-profit organization dedicated to improving the lives of children with disabilities, has allowed us to positively impact many children, families and entire communities. 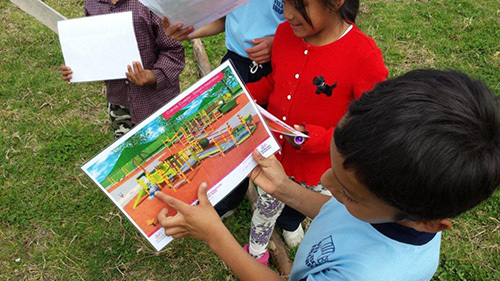 And we’re excited to say that our partnership is helping bring inclusive play to Ecuador! In a matter of weeks, the Municipality of Cuenca will open its first inclusive playground (the first in the entire country! ), which will help promote integration among children of all abilities. Learn more about the project and see a few in-progress photos from our friends at Shane’s Inspiration. This entry was posted in Accessibility, Community, Inclusion, Inclusive Play, Inclusive playgrounds, Playground and tagged Cuenca, Ecuador, Shane's Inspiration by PlayLSI. Bookmark the permalink.